It’s easy and convenient to choose and order the goods you like: all goods are described in details, and the catalogue is provided with a lot of filters making the choice process quick and comfortable. 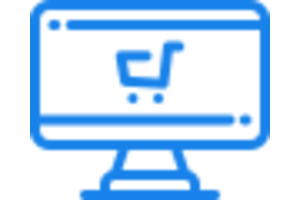 Orders can be accepted through the Internet, using the Internet shopping cart, by recording appropriate data in the available order checkout form. No registration is necessary for this purpose. Orders submitted by telephone or e-mail are not accepted by the Seller. You can carry out the order checkout procedures at any time convenient for you: orders are accepted 24 hours/day. Click “PROCEED TO CHECKOUT” button and start the order checkout by entering relevant data into the available interactive (electronic) order checkout form. When you enter data, pay attention to the mandatory fields and system prompts. Data for filling include: contact data (telephone number, name, surname, e-mail), delivery address and other information necessary to complete the order checkout procedure correctly and to contact the Buyer later. Within the order checkout process, the payment method and the delivery method must be chosen. After entering all necessary data, click “CONFIRM AND PAY” button to confirm the order. The order checkout is finished! Immediately after the order checkout, you will be redirected to the payment system page to pay for the order. The detailed information about terms, conditions and the procedure of payment for order is available here. After the order checkout procedure completion, a message generated automatically is sent to the Buyer’s e-mail specified during the ordering procedure; this message informs about the fact of receipt of the order into the Buyer’s accounting system with the preliminary conditions for the order checked out. Pay attention: this automatic system notification method is not equivalent to the order conditions confirmation and order acceptance for implementation by the Seller. Order conditions confirmation is fulfilled by an additional e-mail sent by the Seller or by changing the order status to “Confirmed” in the Buyer’s Personal Account. b) by changing the order status to “Handed over to the courier service” in the Buyer’s Personal Account. Also (if possible), the Seller shall send the Order Track Number to the Buyer. The detailed information is available here describing the procedure and preconditions for the Order acceptance by the Seller for implementation. Registration is not necessary for the order checkout because it is carried out automatically during the Buyer’s first order checkout procedure. After the first order checkout procedure carried out completely, contact and addressing data from the order are saved in the system and the password is sent to the telephone number entered as the contact number. For the next order checkout in the Internet shop, the Buyer needs only to carry out the authorization procedure; for this purpose, the login (telephone number or e-mail) and the password received during registration must be used. After choosing the payment method and the delivery method, contact and addressing data are filled automatically. If the Buyer needs to modify the parameters of the new order, he/she can do it within the scope of the checkout procedure. At any time, information about the current situation with the Order can be seen from the order status: the current order status is always available in the Personal Accont in the “Order history” section. We wish you good buys! The Seller processes and confirms the orders in accordance with the order processing and confirmation conditions, terms and rules described below. 3) The procedure of the order delivery and handing over to the Buyer. • checking the availability of goods for the order at the Seller’s (online store) warehouse. If the goods are not available at the warehouse, the nearest available date of goods delivery is checked if this is possible for the Seller. • verifying the order checkout validity in terms of correctness and completeness of data entered for the order. If necessary, the Buyer is additionally verified and data are updated. • checking the need for payment for the order before shipment. If, in accordance with the order terms and conditions, payment in advance is necessary before the shipment to the Buyer and, as of the order processing time, the fact of confirmation of payment for the order is not available to the Seller, the time period for processing of such orders shall be extended until the fact of confirmation of payment confirmation subject to the condition that the payment for this order was (or will be) made within 3 working days after the order checkout. The fact of payment means real receipt of money at the Seller’s settlement account or receiving the information by the Seller from the payment system (the payment aggregator) about the fact of payment made by the Buyer to the Seller. If there is no fact of payment of the amount specified in the order or this fact cannot be confirmed within 3 working days from the order checkout, it results in automatic order cancellation and goods booking termination. • collecting the goods for the order, goods verification and packaging for submission to the courier service. All goods are subject to pre-sales preparation and verification in terms of visible damages and possible defects; then, they are packaged thoroughly, a cheque (or a VAT invoice) is enclosed with them, and they are submitted to the courier service for delivery. • Orders arrived during the time when the online store does not work (e.g. at night or on holidays) are processed on the first working day following the order checkout day, usually not later than at 12.00. After successful passing through all processing stages, the Seller accepts the order for implementation. It means that the order has been confirmed and submitted to the courier service, and the Seller immediately informs the Buyer by sending relevant notification by e-mail or telephone or by changing the order status in the Personal Account to “Handed over to the courier service” status. • any other similar reasons and circumstances making the order implementation and delivery impossible. In such a case, the Seller shall immediately inform the Buyer, by the contact telephone number or e-mail specified in the Order, that the order cannot be implemented, and shall offer possible ways to resolve the situation. The Buyer, in turn, may modify the order scope fully or partially or even cancel it. Impossibility to negotiate the new terms and conditions of the Order between the Buyer and the Seller, as well as impossibility to verify the Buyer or impossibility to contact the Buyer with the contact data specified in the order, shall result automatically in order cancellation by the Seller followed by return of money paid for the order (if the payment fact took place). Ordered goods shipment to the Buyer in accordance with the receipt method chosen within the scope of the order checkout procedure. All orders processed and confirmed by the manager shall be submitted to the courier service (DPD or other) for the delivery to the destination address specified by the Buyer or to the Ex-works point. Order shipment and delivery are carried out in accordance with the terms, conditions and prices described in detail in the “Delivery methods” section.